While Qualcomm's Snapdragon 820 is not quite ready for a big reveal, the company has shared details of several other, lower-end chips. The current Snapdragon 615, 410 and 210 have all been enhanced as part of the upgrade, one-upped by the new Snapdragon 616, 412 and 212 respectively. The improvements aren't all that much to write home about, with this being more of an evolutionary advance in line with the times, so if you're more interested in those more impressive gains, best hang fire for the 820. 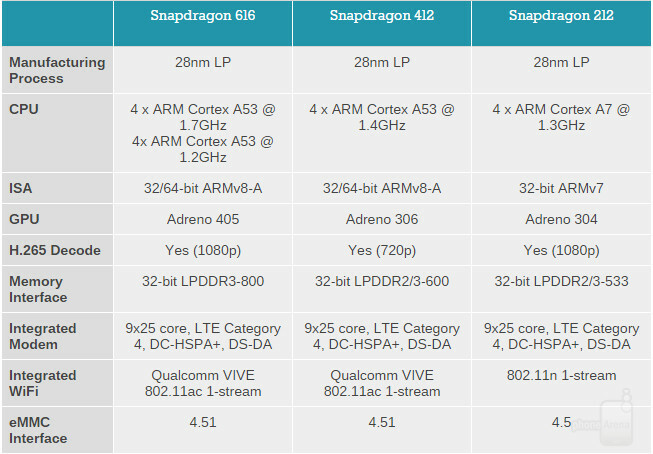 The Snapdragon 616 -- the more powerful of this particular bunch -- is scarcely discernible from the current Snapdragon 615 on paper. The max clock speed of the little cluster hikes from 1 GHz to 1.2 GHz, but aside from that minor detail, it's essentially unchanged. 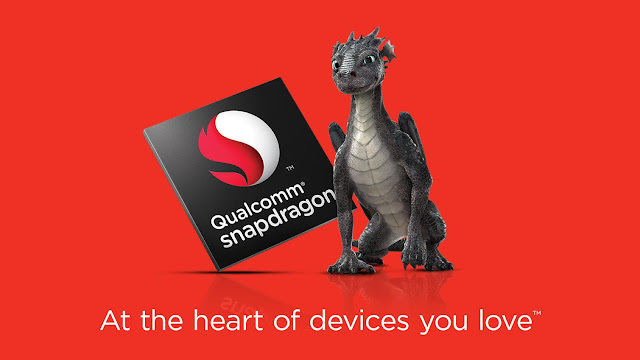 The new Snapdragon 412 enjoys a clock speed bump to 1.4 GHz versus 1.2 GHz with the 410, while the Snapdragon 212 can reach a top clock speed of 1.3 GHz compared to the 1.1 GHz of the 210. Qualcomm hasn't revealed when the new chips will become available, but we should begin to see smartphones housing them by the turn of the year. The top-end Snapdragon 820, meanwhile, remains under wraps for the time being, and after all of the controversy that plagued the Snapdragon 810, Qualcomm seems keen to atone.